The first Premier event for CS:GO esports is on its way. The first tournament from Intel Grand Slam Season 2 Series will gather only the best teams from the world at Katowice, Poland. 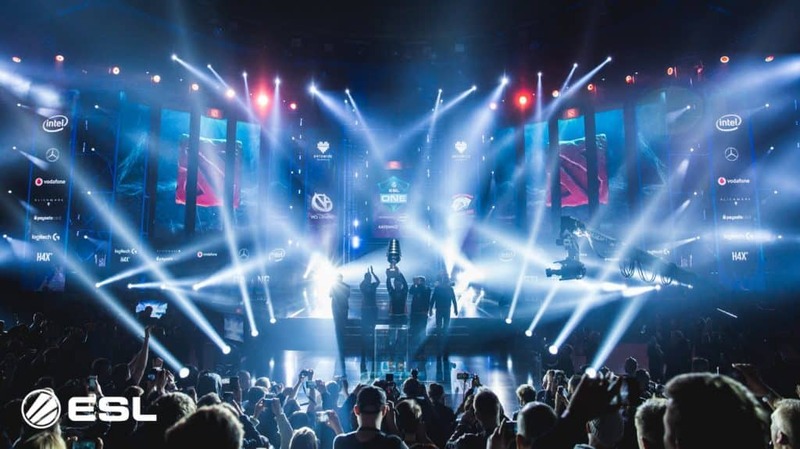 When IEM Katowice 2019 kicks off, the teams will begin their fight for the main prize of $500,000. Here is everything you need to know about IEM Katowice 2019. IEM Katowice 2019 is using a more complicated format than most of the tournaments. This event has three stages: The New Challengers Stage, The New Legends Stage, and The New Champions Stage. The New Challengers Stage will last for five days, from 13th to 17th of February. The New Legends Stage will begin on 20th of February and will last until 24th of February, and in the end, The New Champions Stage will kick off on February 28th and will end on March 3rd. Therefore, the whole tournament is played from February 13th to March 3rd. The New Challengers Stage uses 16 teams Swiss System Group format. Teams will play first matches according to Player-Selected Seeding, which was used for the first time at IEM Chicago 2018. The rest of the pairs are ordered by teams performance during the tournament. Teams will play Best-of-3 Advancement and Elimination matches, and other matches will be Best-of-1. In the end, after five matches, top eight teams are advancing further into The New Legends Stage, and others are out of the IEM Katowice 2019. The New Legends Stage uses exactly the same format as The New Challengers Stage, considering that eight teams have already secured their place in Legends Stage. The best eight teams advance into The New Champions stage. The Champions Stage is classic Play-off Stage with a single elimination bracket. All the matches there are Best-of-3. 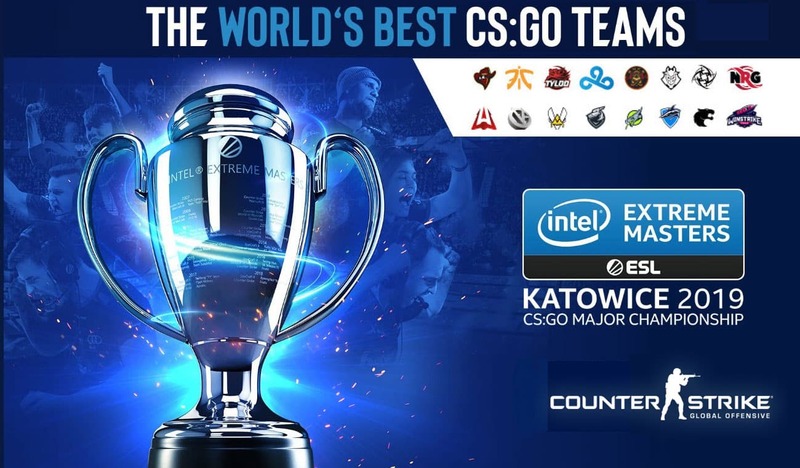 How teams reached IEM Katowice 2019? Totally 24 teams will compete for the trophy in Poland, but not all of them had to fight their way through Qualifiers. Teams who are already in Legends Stage (Astralis, NaVi, MiBR, Liquid, compLexity, BIG, HR, and FaZe) earned that place at FACEIT Major last year. 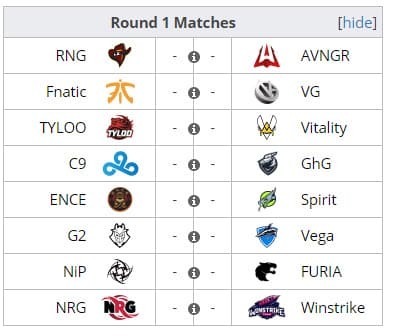 Other six teams (Ninjas in Pyjamas, Fnatic, G2, Vega, Cloud9, and TYLOO) also didn’t have to play Katowice Minors due to their good results at FACEIT Major. However, they performed a bit worse there, so they are part of The New Challengers Stage. The remaining ten teams fought their way through the Americas, Europe, CIS, and Asian Minors. The prize pool for the first Top-Tier event of the year is huge. For the first time in the history of CS:GO, Katowice event will distribute one million dollars to competitors. One half of that money is going to the winner’s pockets. So, there are 500,000 reasons to win this huge competition. But it’s not easy at all considering there are 24 teams fighting for the title. The runners up will win $150,000, and Semi-finalists will earn $70,000. Those who reached the Champions Stage will secure $35,000, and teams who reached Legends Stage will earn $8,750. The remaining eight teams who dropped out of the tournament in Challengers Stage will go home empty handed. Fans who want to watch some of the best teams in action can do so on the ESL Twitch account. OJ Borg will be Stage Host; Machine and stunna will be Desk Hosts; Frankie will interview players, coaches, fans, and others, and fans will have a chance to listen to comments of some former CS:GO players like SPUNJ, Pimp, seangares, HenryG, Sliggy, and many others. The tournament will take a place at Katowice, Poland. Teams will enjoy playing in three different venues for three Stages of the tournament. Therefore, teams will play Challengers Stage inside of ESL Arena, Legends Stage in Int. Congress Centre and Spodek venue will be the place where the ending of the event will be held. Tickets, badges and other Katowice items are already out, and fans can buy them in the CS:GO game. Also, fans can take a part in Pick’Em challenge where they can try to predict the outcome of the tournament. As you can see the favorites for winning initial matches are on the left side. The only exception could be AVANGAR who can easily upset Renegades. If we see any other team from the right side beating team on the left, that would be a big surprise. Only a few teams from this list are candidates for reaching the last stage of the event. Fnatic, Cloud9, and ENCE are maybe capable of taking a place in Champions Stage instead of BIG, HellRaisers, and compLexity Gaming. In Champions Stage, anything can happen. All teams who reach Champions Stage must play perfectly. Of course, an absolute favorite for winning IEM Katowice 2019 is definitely Astralis. However, Team Liquid finally managed to break the curse against Danes in final of iBUYPOWER Masters. Also, there is FaZe Clan who made some changes and clinched the trophy at ELEAGUE Invitational. Not to mention powerful Natus Vincere and MiBR who are playing incredibly well. So, whatever happens, one thing is sure. We are going to watch some deep battles until the beginning of March.